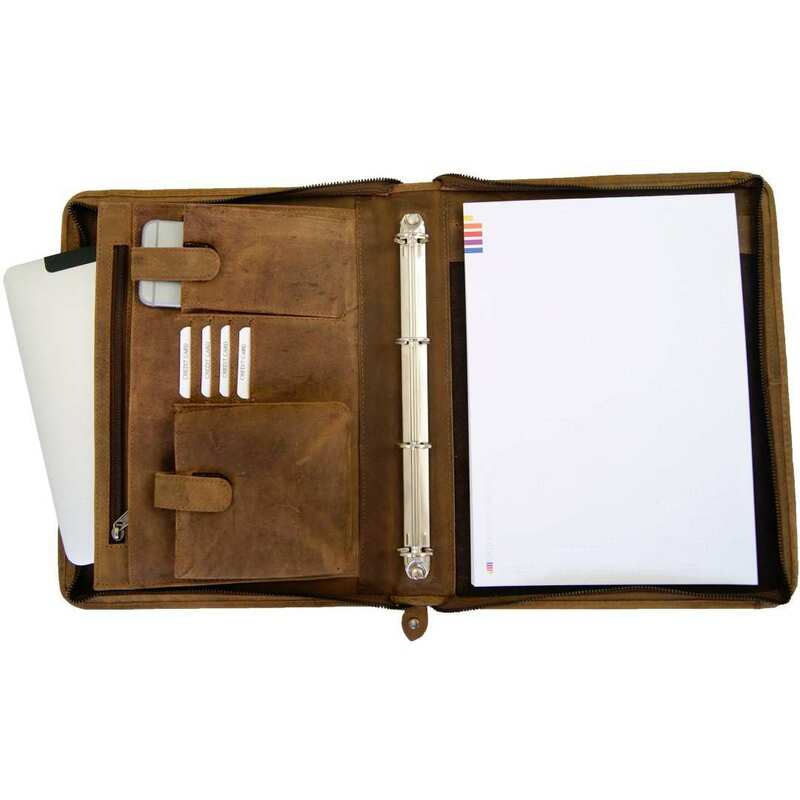 Product information "A4 document ring folder TESLA of brown leather"
Store your personal documents and stationery in the timeless and elegant A4 document ring folder TESLA of brown buffalo leather and have them always ready to hand! 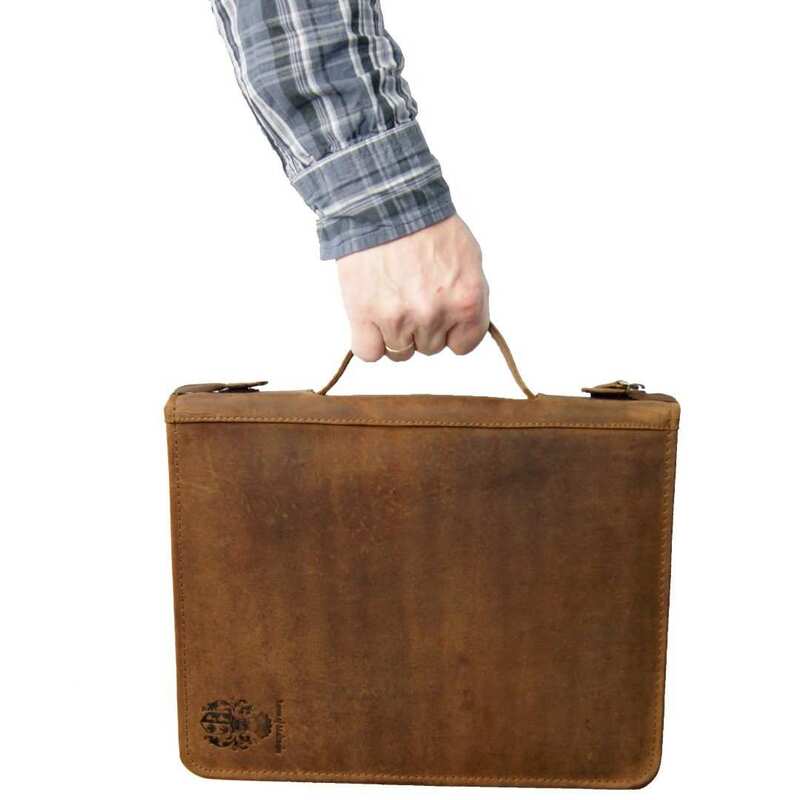 Let yourself get captivated by the fantastic document ring folder of brown buffalo leather. 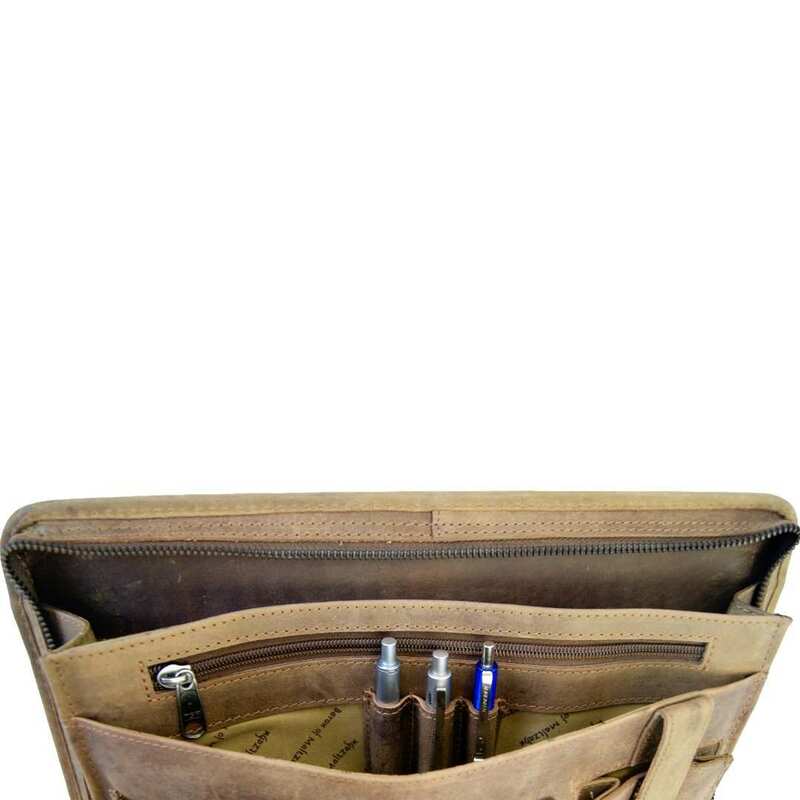 This accessory radiates an aura of significance that emphasizes your individual style and, at the same time, provides a lot of space for all essential items that you need in the daily working life. This way, you can carry important documents and files for a meeting and also your smartphone, keys, etc. at once. 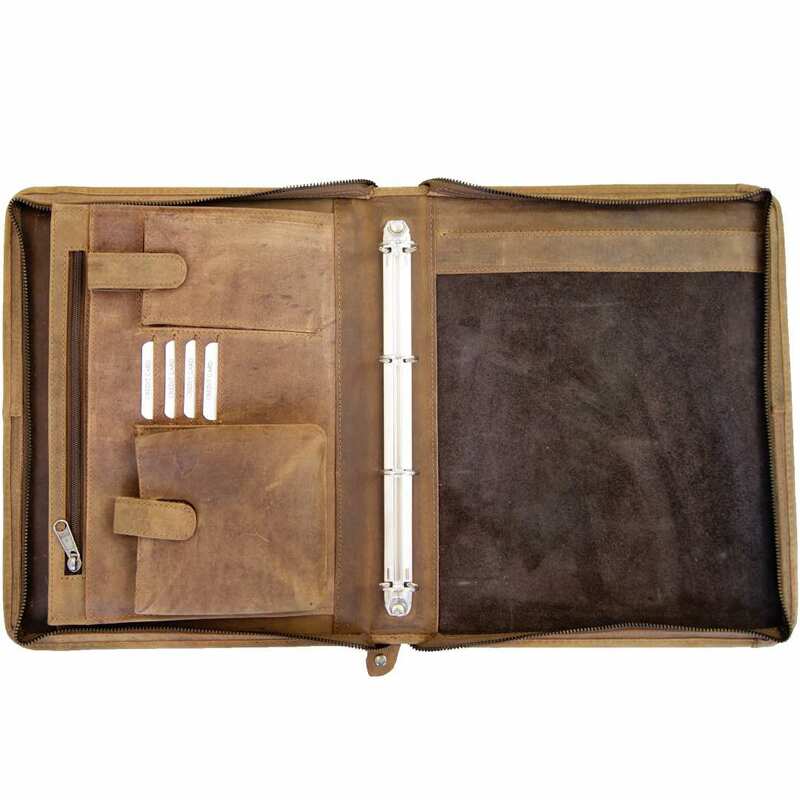 By opening the ring folder of buffalo leather, you will immediately see how well distributed all compartments are. Just fix a notebook to the four-ring-mechanism of the folder and carry it always safely with you. 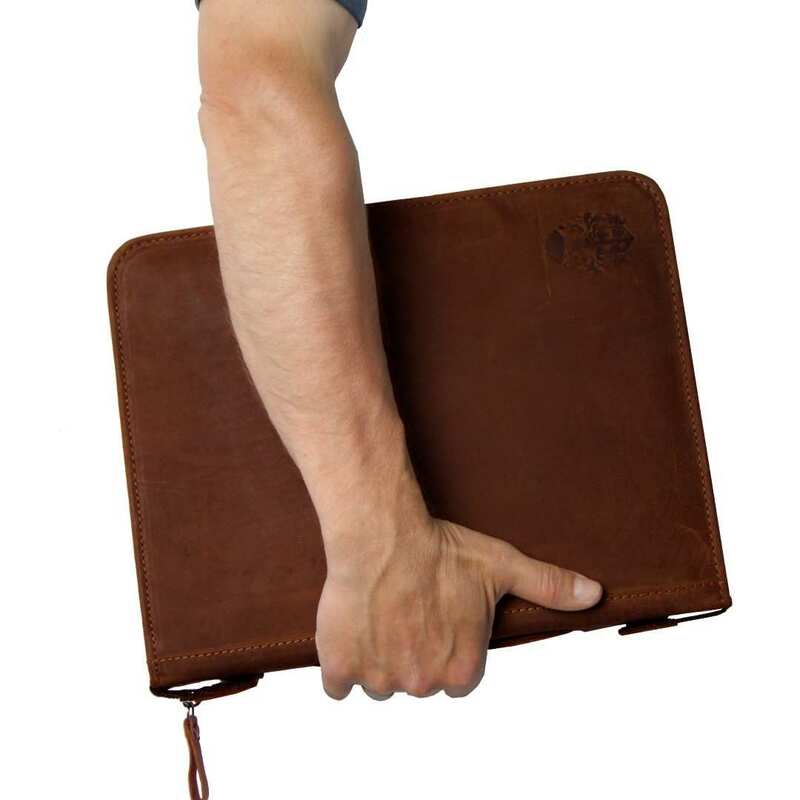 The generous space of this leather folder allows the storage of a tablet computer or iPad and a smartphone, too. Use the pen loops for the writing items you want to have with you and insert your cards into the specially designed slots. The comfort is rounded up by a further inner compartment, this time with a zipper. 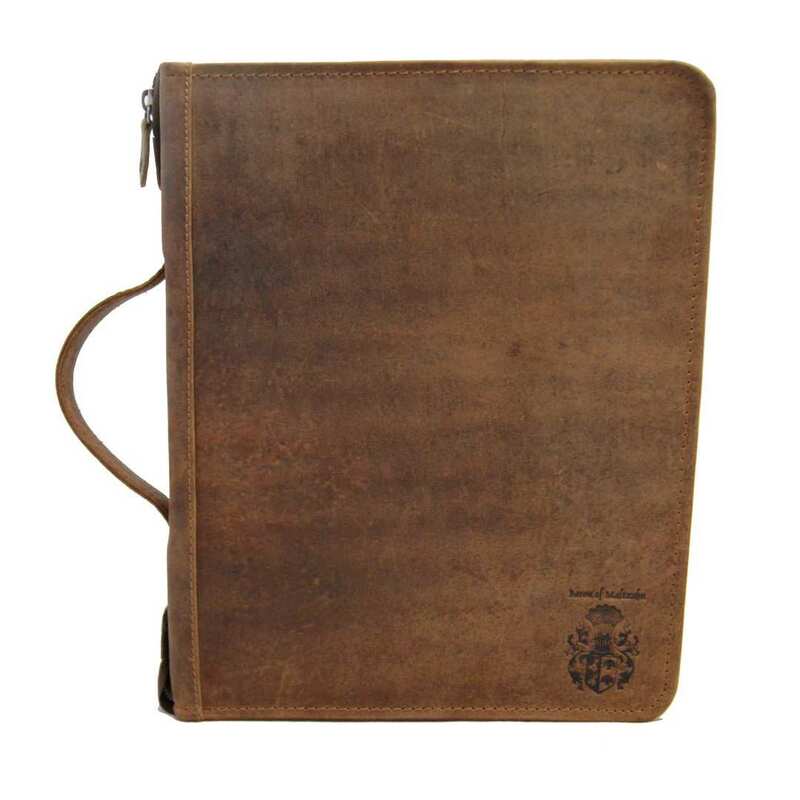 This elegant leather case with the size of 13.4 x 11 x 1.6 in (34x28x4 cm) is a combination of design and functionality. It consists of buffalo leather, an easy-to-care and very resistant material. The smooth running zippers enable you to open and close the folder very easily. 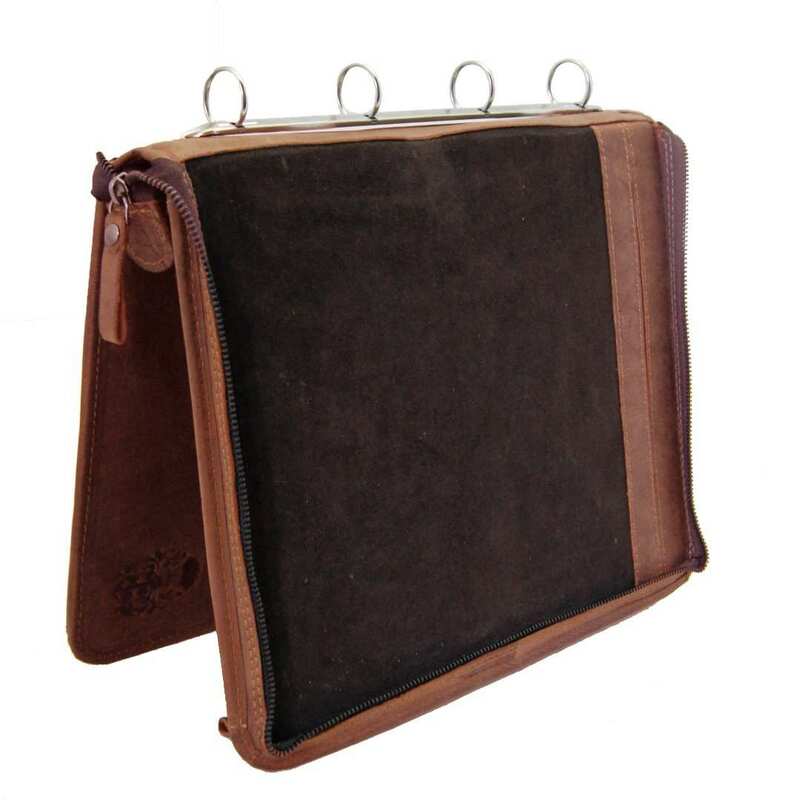 The small handle on the side increases the comfort even more and permits to carry the folder everywhere without any effort. Some delicate gun-metal fittings and the four-ring-mechanism complete the overall picture of the document ring folder of brown leather. The A4 document ring folder of buffalo leather is a piece of the fine Collection BARON of MALTZAHN: Each article of this collection is handcrafted and represents a small piece of art designed individually. Therefore, every single accessory is a unique article that cannot be copied. Order now your new companion for life and start enjoying right now! 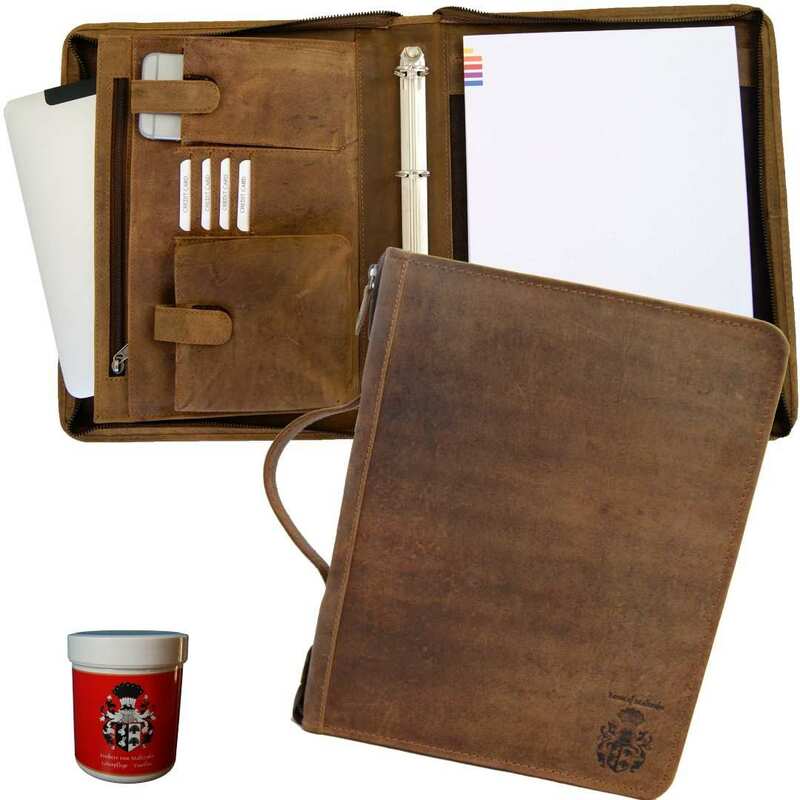 Reviews for "A4 document ring folder TESLA of brown leather"